So, quickly About Me: I have both business and bilingual skills…I started at a very young age helping my father with his business, I also helped friends and family communicate (Interpreter)…So, in 2000 I decided to venture off and Start My Own Biz because thanks to my “language skills” it allowed me to start your my own language interpreting business, YES – My Own Business!!! So, now I want to HELP YOU! 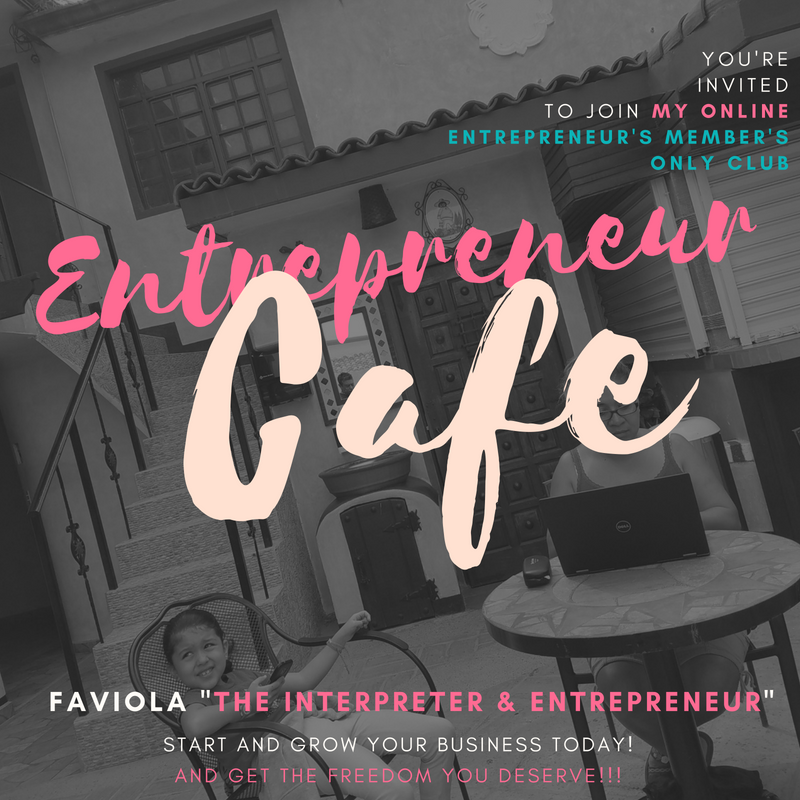 Join my Entrepreneur Cafe Club TODAY!! !